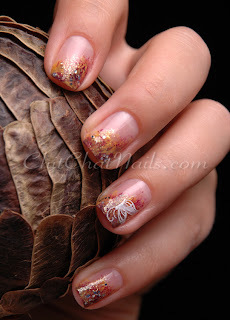 Love Varnish: Vacation Guest Post - Marta from ChitChat nails! 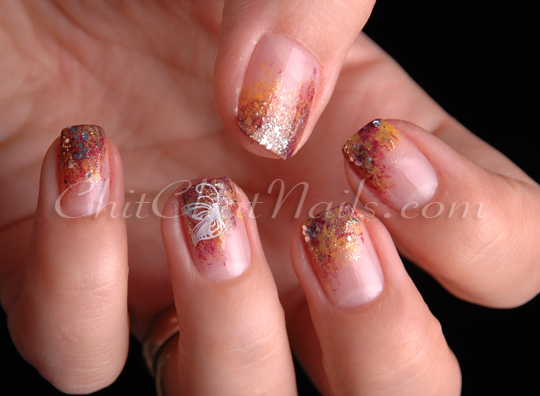 Vacation Guest Post - Marta from ChitChat nails! Oh my gosh you guys! 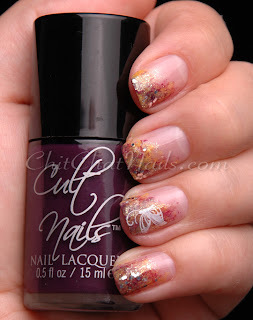 I have loved Marta's blog ChitChat Nails ever since I discovered it and when I thought of bloggers to ask for guestposts Marta immediately was one of the girls I thought of. She created this gorgeous guest post that I am very proud to present to you, so enjoy! Don't forget to click pictures to enlarge :). I sure know I am going to way more with saran wrap! I then added a thin coat of Catricle Million Dollar Baby as well as one thin coat of China Glaze White Cap. I am an avid nail-stamper and I knew something had to be added to this look ;) I stamped the butterfly with Konad White and BM-303. One coat of Seche Vite completes the look. I hope you liked this funky-french twist. Do you have a favourite season of the year? Do you paint your nails with season-appropriate (if there even is such a thing) colors? Awesome! I am going to recreate this in the autumn! 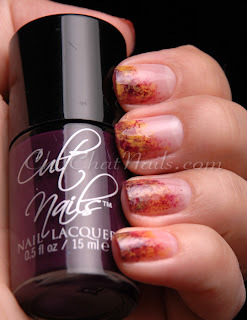 This mani SCREAMS fall! She makes every mani so special, I can't quite describe it. Even tho it's not a new technique sth never seen before, she always knows how to add that little something ;) Love the color choice! Yay Marta for this awesome awesome guestpost! I don't understand actually why there are only so little comments about it... I still LOVE this as much as when you send it to me!